Thanks for tuning in to another episode of our weekly Android podcast, Attack of the Androids. Mat Lee here joined this evening by Joey Kelley and Shane Brady. On tonight’s episode we discuss Android for voting machines, Google Now election results, some new Google Now cards, Android 4.2 Google Apps, Happy fifth birthday Android, Android security on Gingerbread, Galaxy Nexus advanced screen graphics settings in CyanogenMod 10, and data usage on the big four carriers. All this plus our app picks for episode 59 of AotA. Keep on reading for links to articles and our app picks. Would Android be the perfect operating system to build a voting machine on? Shane seems to think so and I have to agree with him. Transparent and open source is the best way to go for democracy. Here’s the Security Episode 211 Joey was referring to if you are curious. It’s about voting machine hacking. If you use Google Now, you can say “Election Results” and Google displays some great near real time information on the election. If you keep your location history in Google, you might start seeing the Google Now location history card. I don’t see it yet on my Galaxy Nexus, but Shane has it. I retract my last week’s “Better or Worse” for the new BeyondPod update. I sent them an email about the clear episode image cache setting, and they replied very promptly letting me know where the setting has been moved to. Thanks BeyondPod! Shane installed the latest Android 4.2 Google Apps, and goes through a few of the new features. Phandroid has some more information and links to the download here. Check out #AndroidPhotography on Google+ for some cool Photosphere pictures. Happy birthday Android! Android turned five on Monday, November 5th. Android also has 75% of the smartphone market now. Is Android 2.3 Gingerbread the Windows XP of mobile? According to Kaspersky, Gingerbread is the most targeted version of Android when it comes to malware and Trojan SMS programs. Check out this cool Galaxy Nexus screen graphic setting on the CM 10 nightly or M. Make your screen really look nice, and overclock your GPU. Go into Settings, then Advanced and select the CM setting. Android Central has an article about data usage on the big four carriers. Why are we seeing the data we’re seeing? The team speculates so hard. Shane – Amazon Mobile by Amazon Mobile LLC. If you want to check out some of the hip hop I’ve been working on, you can find it free here on my music page, or on my SoundCloud. Write us a review when you subscribe on iTunes. You can also email show@attackoftheandroids.com, leave a message for the show at 406.204.4687 and catch the rerun of the latest live show on AotA TV! 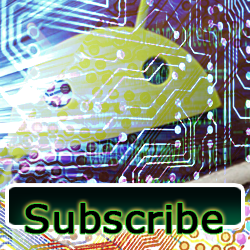 We also have a whole tech show playlist on YouTube that has re runs of Yet Another Tech Show, the Buffer Overflow Show, and of course, Attack of the Androids. Thanks for listening.